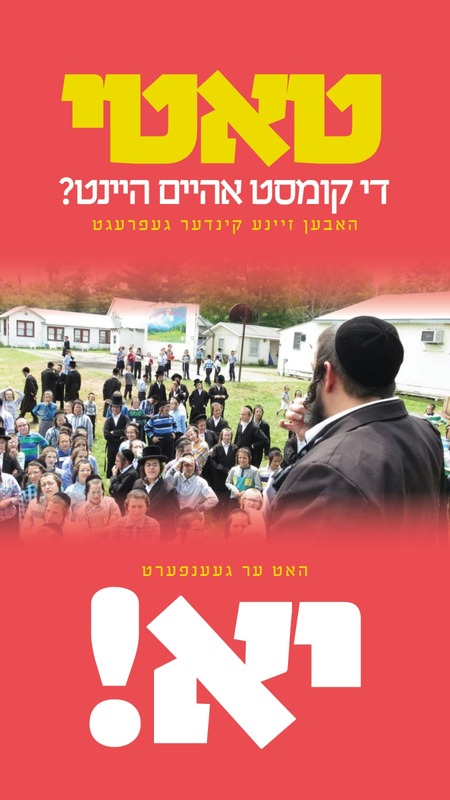 Following last Wednesday’s fatal car crash of renowned melamed, Reb Reuven Chaim Biller, z”l, Klal Yisroel is uniting in support for his widow and eight children, six of which still live at home. Reb Biller zt”l was the beloved head counselor of Pupa Camp in Bethel, NY for fifteen years, and previously served as a cheder rebbe in Flatbush, Skver, Pupa and other institutions. Reb Biller’s car crashed in the Catskill Mountains Wednesday afternoon, after being hit head-on by a driver who was reportedly texting. It took 40 minutes for emergency responders to remove him from the wreckage. Hundreds gathered for Reb Biller’s levaya, and community members poured in for the shiva, sharing thousands of heartfelt personal stories about the influence he had as their teacher and as a well-respected, active community member. Those close to the family are aware that in addition to the tragic shock of their loss, Rebbetzin Biller has been left with a heavy financial burden. As the widow gets up from shiva, she has had to face her next challenge: supporting herself and six children alone. An emergency fund has been started for the family, with the goal of enabling a mother and her children to move through their mourning process without the stress of financial burden. The Chesed Fund page shows moving footage of the Biller children at their father’s levaya. The youngest is just 4 years old.